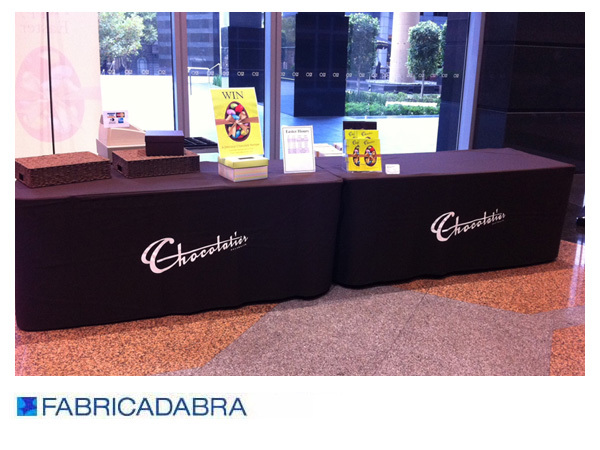 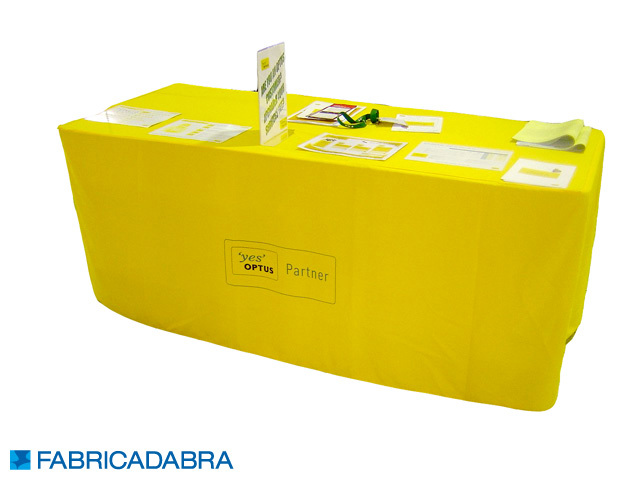 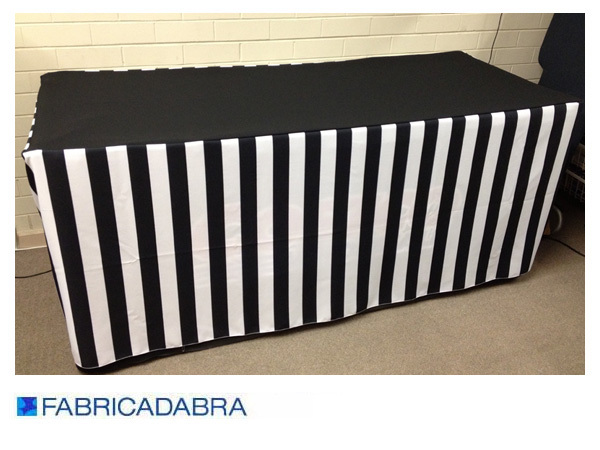 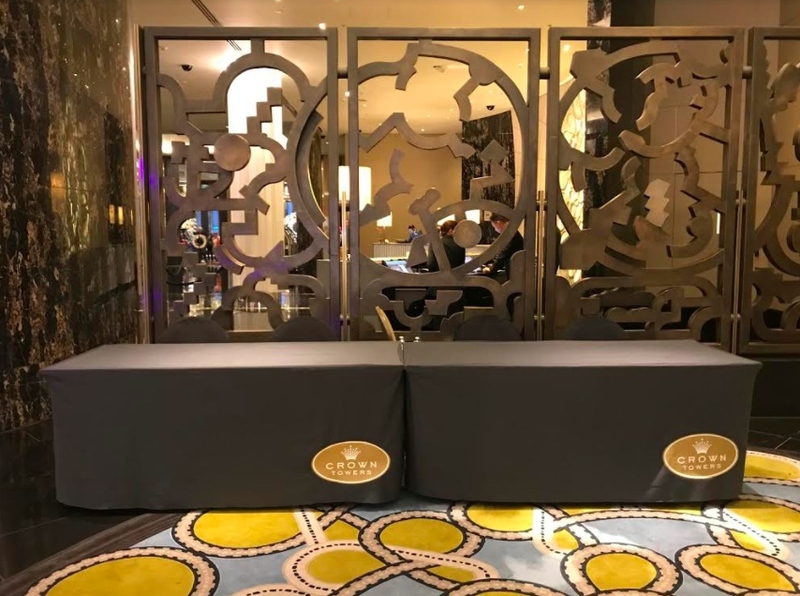 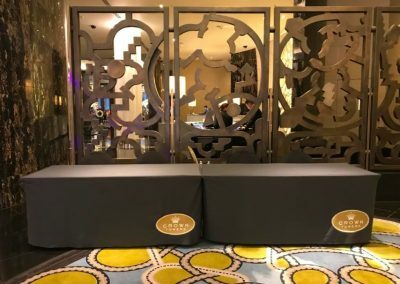 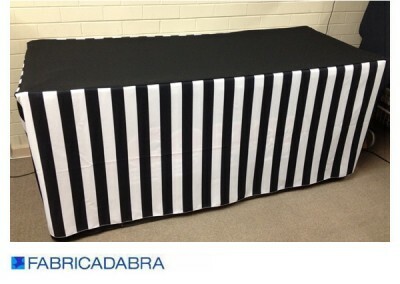 Change your standard looking trestle table into an sleek piece of furniture with a custom made cover from FABRICADABRA. 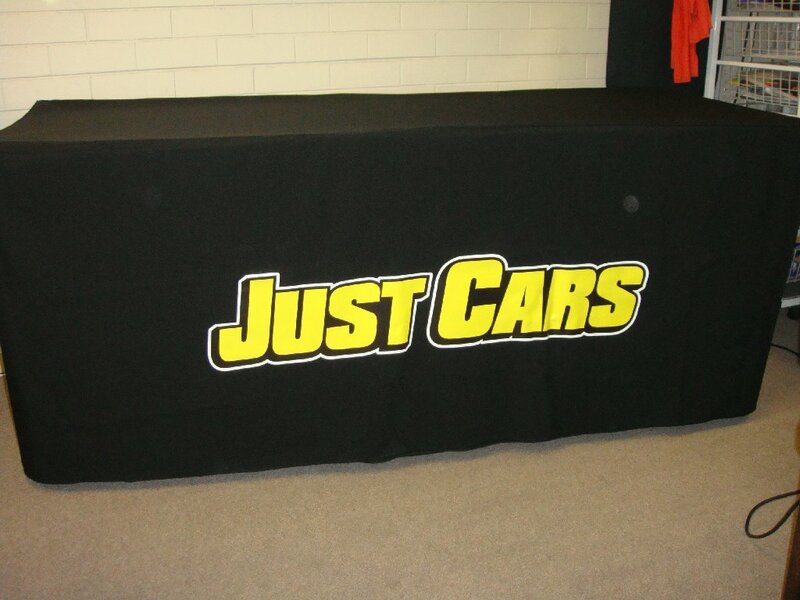 We locally manufacture these covers to perfectly fit your table in either fitted or non fitted styles and we can print your logo or message on them. 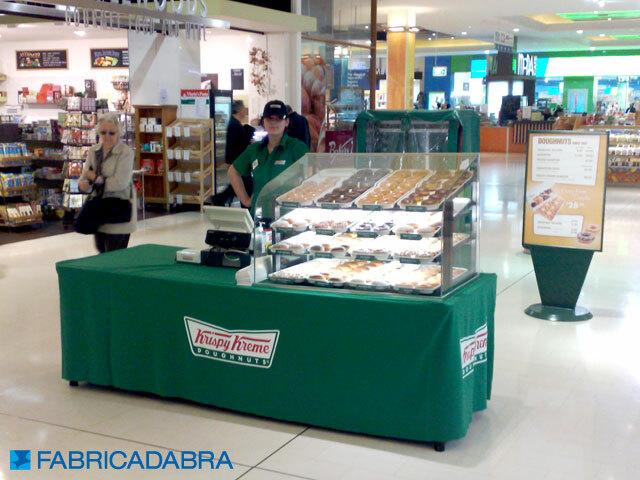 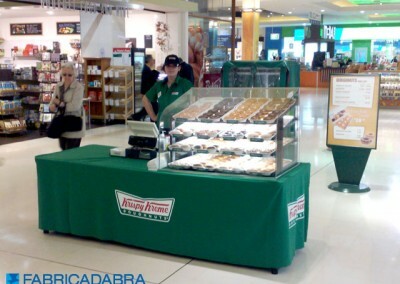 For nearly two decades we have been making these for shopping centres, department stores, national retailers, hotels, venues, trade exhibitions and markets. 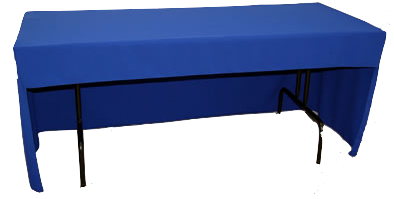 Although most tables are sized 6ft (1800 X 750 X 750) or 8ft (2400 X 750 X 750), we will make these to fit any size and to your specification. 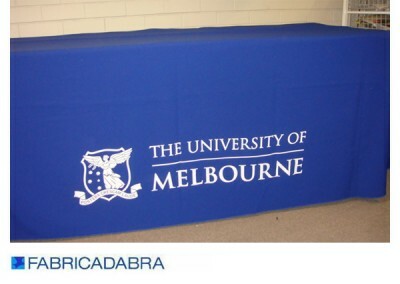 We can offer more than 30 colours to chose from in our specifically imported Mechano fabric, or in our more upmarket Karratha fabric which is a heavier and more crease resistant cloth. 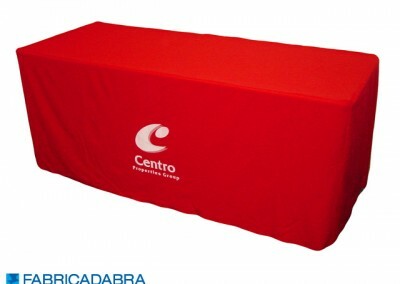 A single person can easily fit one of these covers in just moments saving precious time in setting up. 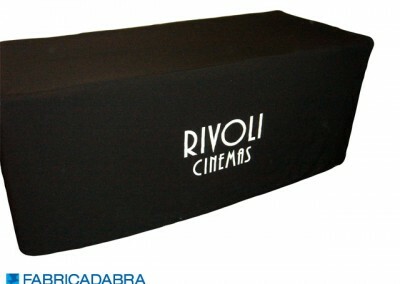 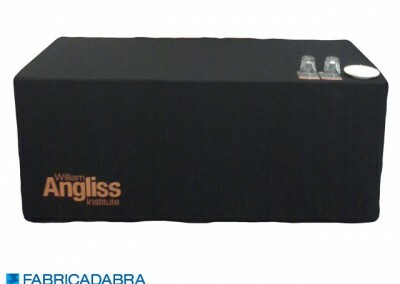 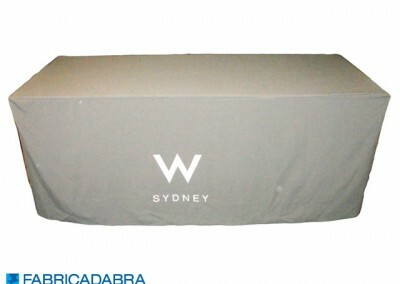 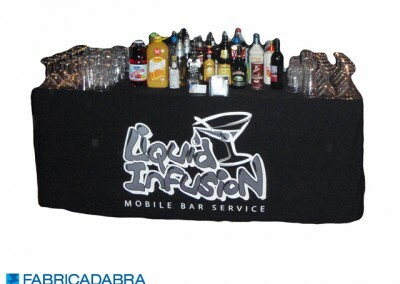 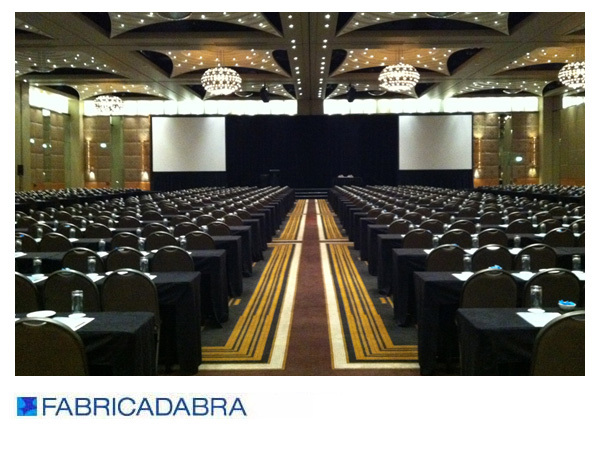 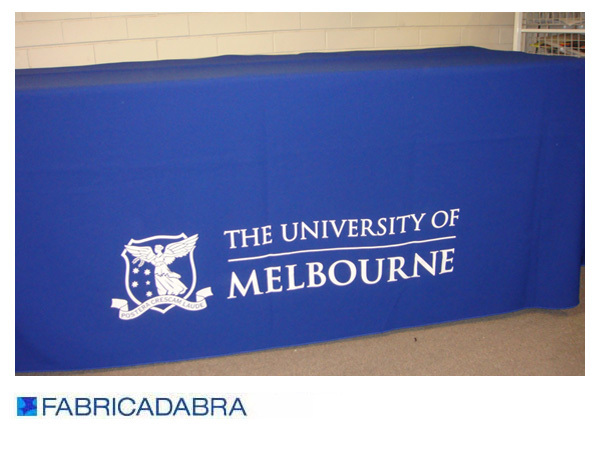 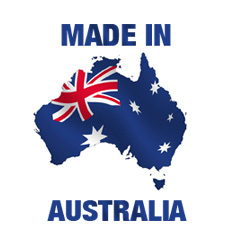 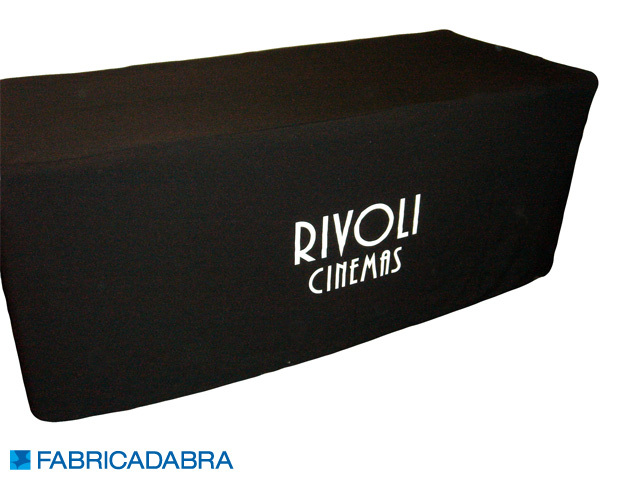 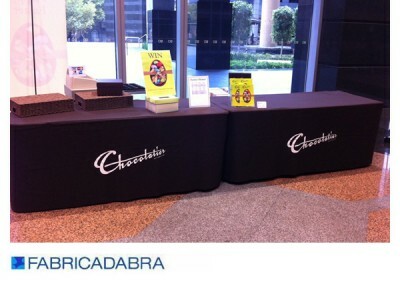 All trestle covers produced by FABRICADABRA are 100% manufactured in Australia. These fitted cloths cover all four sides all the way to the ground and are made to fit your table perfectly. 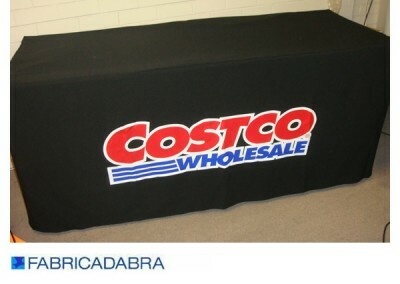 They hide the table legs and allow you to store you product underneath and out of sight. 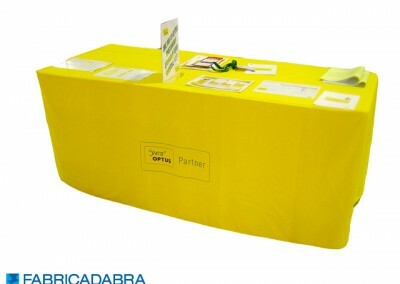 A split in the back can be requested at no extra cost. 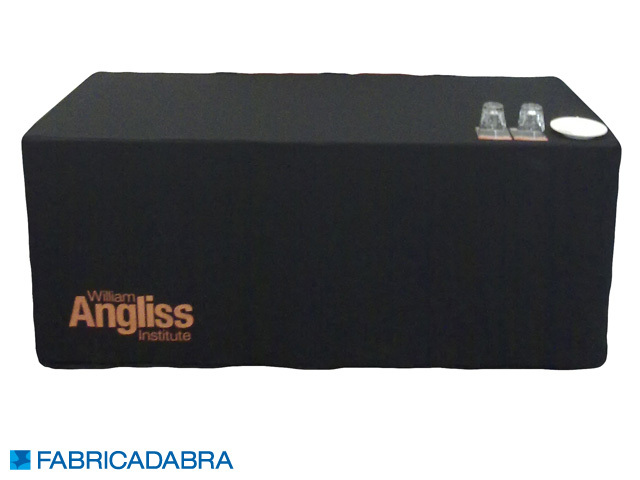 This non fitted trestle cloth also covers four sides of the table all the way to the ground. 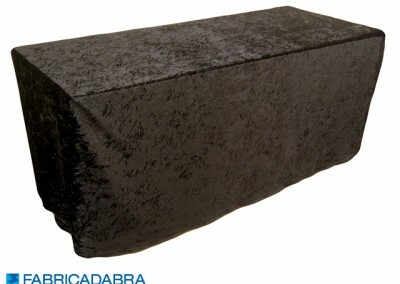 Being non fitted it will fit varying sized tables. 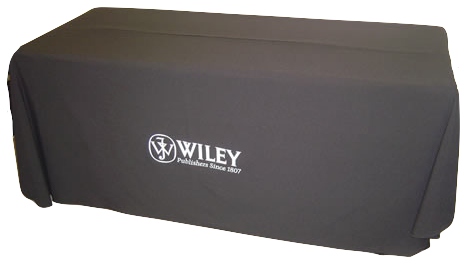 This cover was designed specifically for conferencing – it replaces the old fashioned and time consuming skirting and clips option. 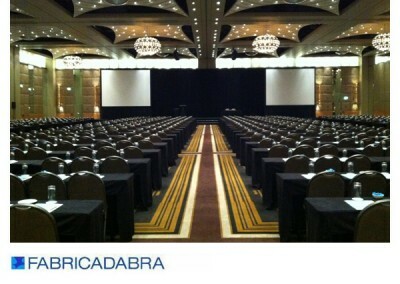 The back long side is open allowing people to sit behind and bring the chair underneath. 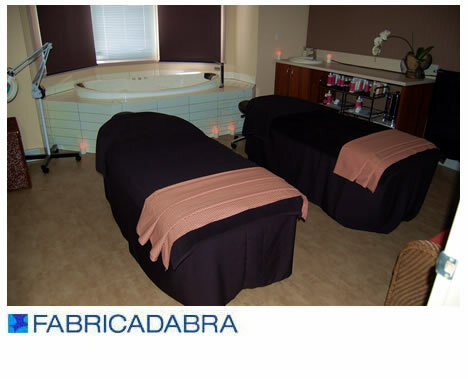 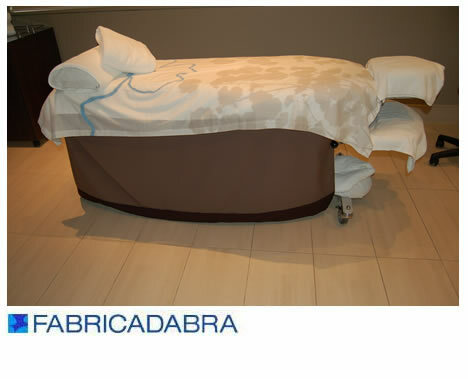 Day Spas and beauticians can now purchase cloth covers to fit over massage tables. These covers are made to order hide the unsightly mechanics under treatment tables. A traditional looking trestle cover were the fabric is gathered for a more classical look. 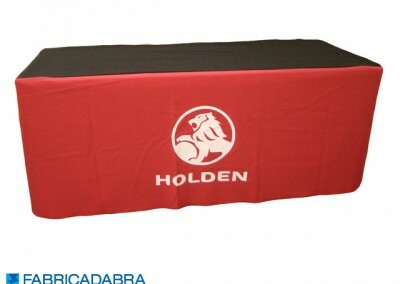 Our covers are manufactured in either our specifically imported Mechano fabric which comes in over thirty colours, or for a heavier and more crease resistant fabric, the Karratha range which is available in eight colours. 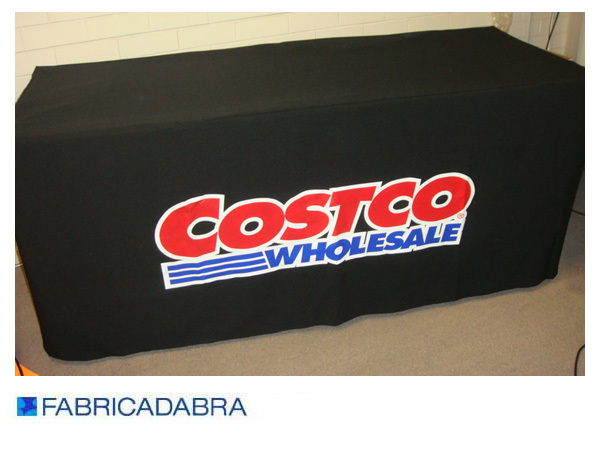 Both are 100% polyester and designed for commercial use. 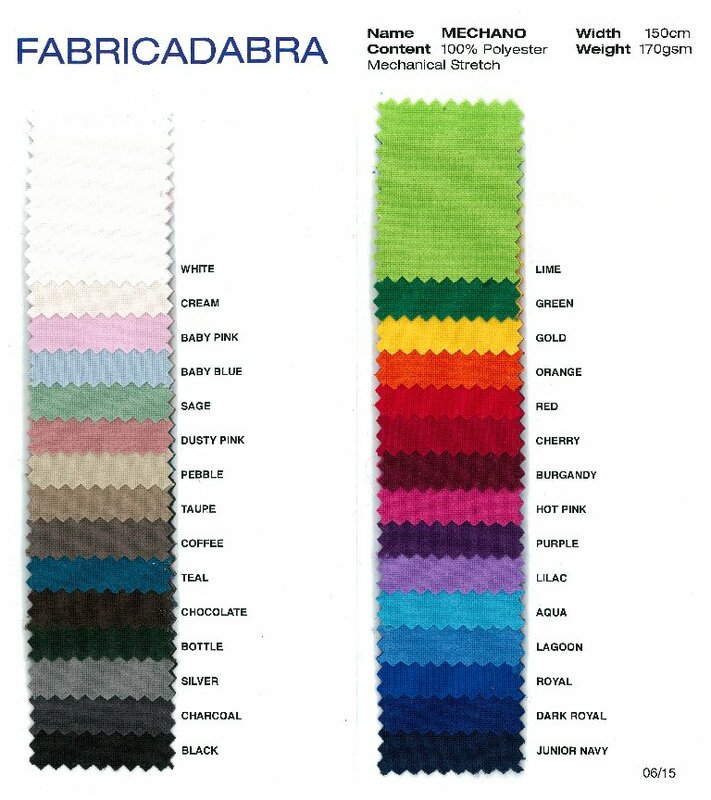 Should you want your cloth made in another fabric just ask us and we will do our best to accommodate!